One of the areas of our company activity, relates to Atlassian brand systems and tools implementation for business customers. Responsible for it department, holds Platinum partnership status within the mentioned independent software vendor and more recently has also been rewarded with Enterprise distinction. Such merit means that we are able to face the most sophisticated implementations for the biggest business players on the market. Being rewarded with Enterprise status is connected with prior to this proving that we are able to handle large-scale organizations that wish to relocate their resources to one, coherent ecosystem, at the same time maintaining the highest possible quality of services and offered solutions. 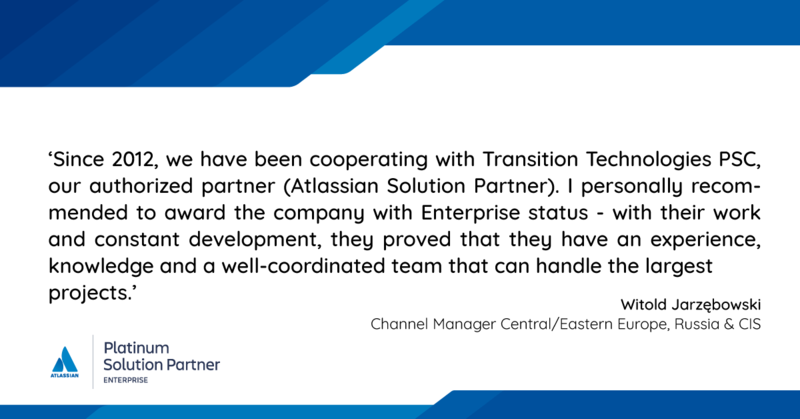 We do not boast ourselves by claiming to be able to deal with huge assignments – “Enterprise” status is an undeniable response from Atlassian that things in fact happen like mentioned – as Piotr Tokarski, TT PSC Atlassian department supervisor states. Atlassian places rigorous requirements towards its partner companies, who wish to achieve Enterprise status. 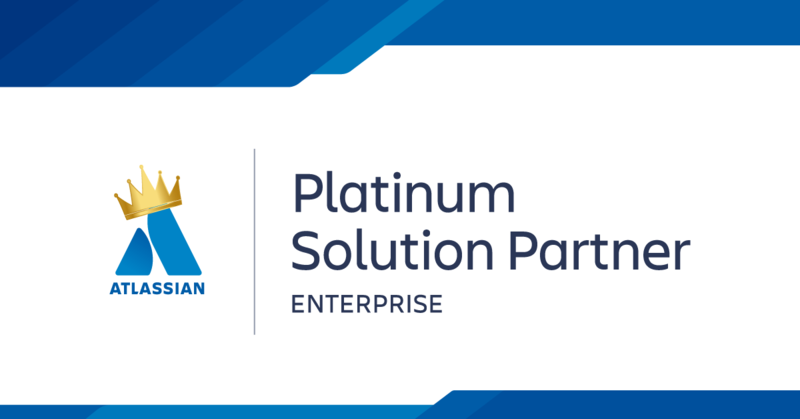 To fit into the mentioned, a company needs to have at least Silver status of partnership within the Atlassian brand. Thanks to hiring a required number of qualified specialists, TT PSC is able to hold the highest, Platinum partner level. Despite it, there was a necessity to present examples of performed implementations from the past 5 years – in particular to provide cases where client had needed different products implemented together with extended functionality. – Such implementation pose a great challenge, as it requires sophisticated technical knowledge background and a team of high-class specialists dealing with software development. Key role is also played by business analyses led by TT PSC Team, starting on the very beginning of cooperation with a client. Staying in accordance with requirements to standards and rules needed to obtain Enterprise badge, we have prepared a vast presentation, covering five performed proceedings, which required of our side the highest effort – those include: PMO support implementation for Nationale Nederlanden Group; update, process optimization, hosting for Jira and Confluence environment, daily support and maintenance of systems and training for Amway GmbH; implementation and development of helpdesk type of solutions for Vienna Insurance Group; implementation of solutions related to documentation workflow of PGNiG company and last but not least huge, very extended implementation related to move of whole ticketing tool into the Jira Service Desk environment tied with Confluence application and to that enhanced with software dedicated for TT JSC – Tomasz Pabich, head of projects in TT PSC Atlassian department explains. Atlassian required also to present other company merits and those include things like: methodology of work with business client, including practices related to estimation of requirements and information related to social responsibility and business ethics.